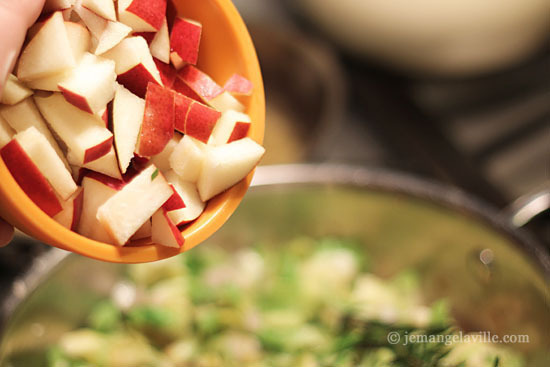 Here is another great side dish for the holidays or just the fall/winter months in general. 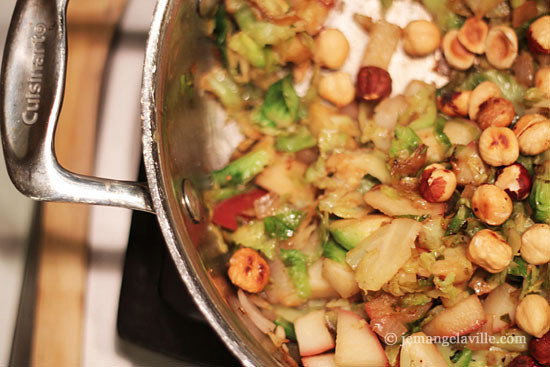 This is also a sneaky way to turn a brussels sprouts hater into a huge brussels sprouts fan! 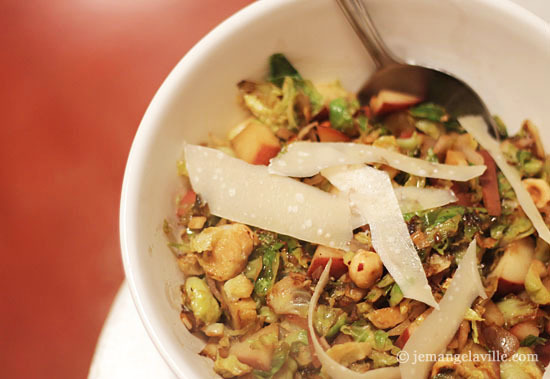 Slicing the sprouts into strips and quick cooking creates a golden but not mushy texture. Hazelnuts give the dish a wonderful crunch and balsamic vinegar finishes it off. Delicious! No one can resist. Note: You could easily substitute an apple in place of the pear. 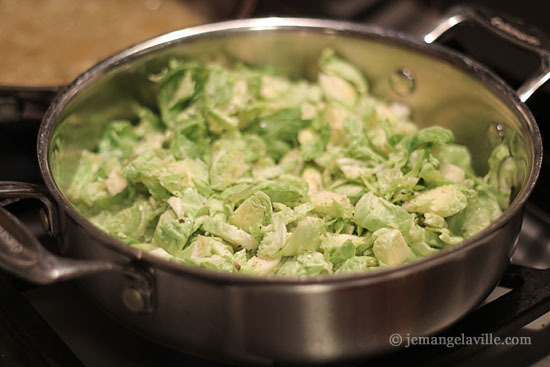 Cut the stem off each brussels sprout and cut it in half. Then slice vertically so that you have strips of sprouts. Hear a pan over medium heat and add the olive oil. Add the shallot and garlic and cook for 2-3 minutes until the onion is a little soft. Add the brussels sprouts, along with a sprinkle of salt and pepper, and cook for about 5-7 minutes, until they start to get a little color. Add the diced pear and hazelnuts and cook for about two more minutes. Drizzle about a tablespoon of balsamic vinegar in the pan and stir. Add to a large serving bowl and garnish with shaved Parmesan cheese and perhaps a drizzle more of balsamic vinegar. * After toasting the hazelnuts in a 350 degree F oven for about 10 minutes, gather them all into a kitchen towel and rub the hazelnuts together for a few seconds. When you open the towel, a lot of the brown skin should be rubbed off. I made this tonight and it was great! Thanks for sharing. 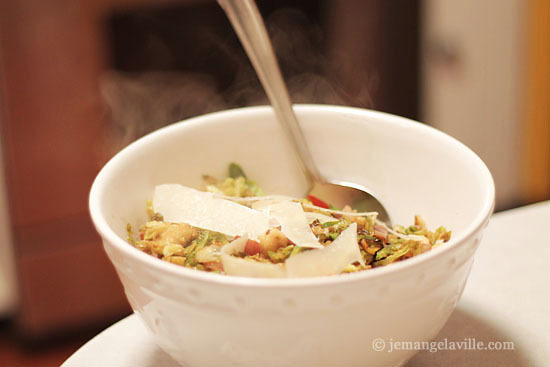 I really only ever roast brussels sprouts and this was a nice change up.